A drive up the left side of this sloping fairway will keep you away from the trees on the right. For your second shot check yardages carefully. 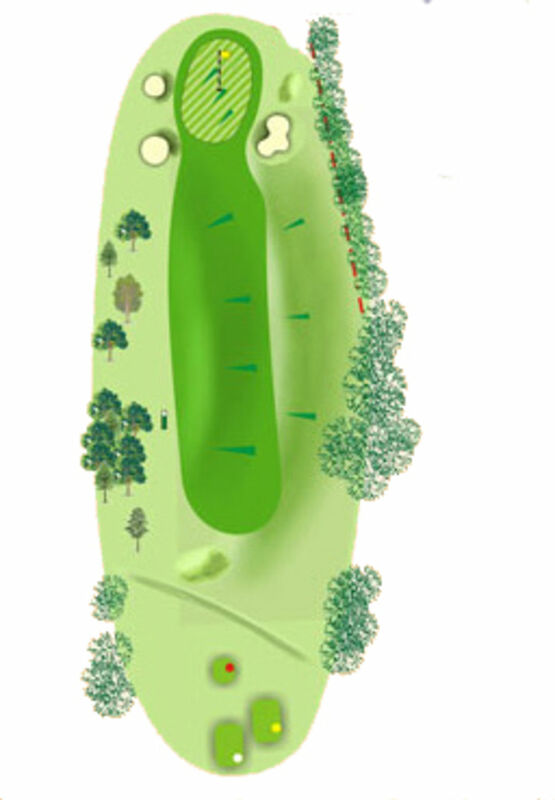 The shot is uphill to a long green that slopes downhill from the front towards the back right - so aim just left of the pin for the best line in. 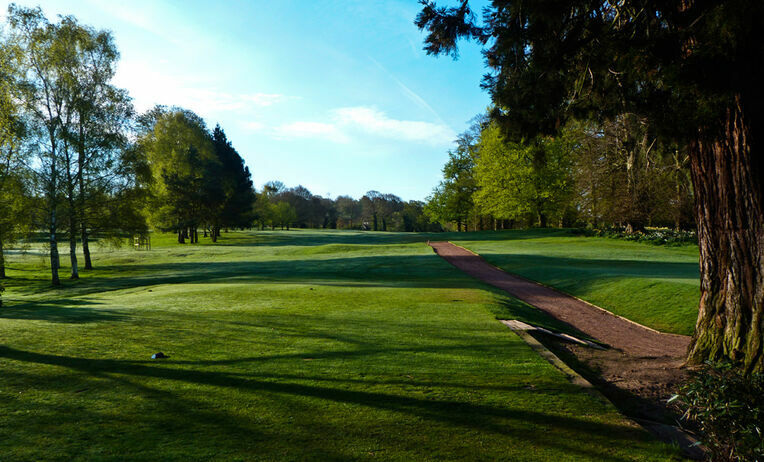 "The first hole, one of 324 yards, is an attractive one with a wood on the right hand side. Anyone addicted to what we call a quick hook will be in trouble here but really if no wild hitting is indulged in, the green, despite its guardian bunkers, will not be unassailable."